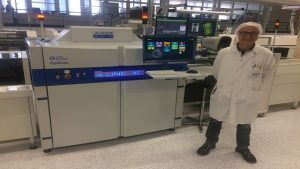 The Italian automotive supplier Magneti Marelli has decided on two X-ray inspection systems from GOEPEL electronic for quality assurance of electronic assemblies. 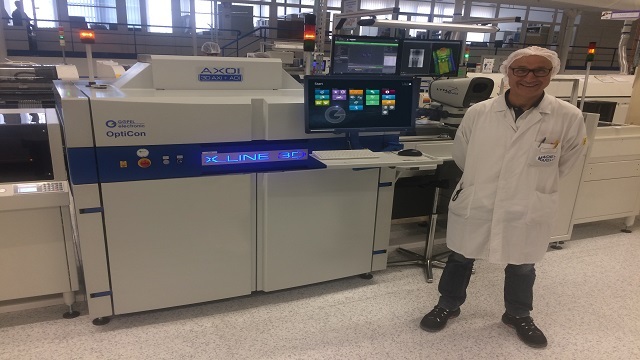 At production sites in France and Slovakia, the X Line · 3D systems are used to inspect high-complexity PCBs. Electronic assemblies for automobiles are subject to particularly high quality requirements by the manufacturers. The X Line · 3D is an inline X-ray system for high-end 3D inspection of non-visible or concealed solder joints in large-scale production. The three-dimensional X-ray inspection covers both top and bottom sides within a continuous process. The basis of this technology is real-time multi-angle image acquisition, which allows a complete 3D capture of the assembly. Integrated reconstruction methods provide detailed evaluation of the PCB under test, layer by layer.